I created this amazon (us) wishlist of Oz books and media. Where to start? I would recommend reading Baum's first book, of course. Originally I recommended that unless you're wanting to read through them all perhaps skip to Patchwork Girl, book 7, because it is supposed to be different and much loved. However, I now realize that Baum wrote a natural conclusion into the end of book six, and so the first six books have a special connection. 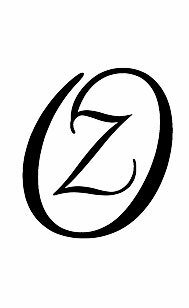 Also, after working through the first six books, I feel they are all good, but that I would highly recommend the second book, Ozma in Oz. For me the second book was the most interesting and engaging even over the first book. On the cinema side of things, I recommend the 3 disc collection of the MGM Oz since it includes not just the movie but also several of the old black and white & silent films that came before. I definitely also recommend Return to Oz, as it shows much more of the other stories and has Nicol Williamson as the Nome King and Fairuza Balk as Dorothy. And, while this may seem to be unlikely, the Muppet version of The Wizard of Oz is actually more in line with the book than the old MGM movie. Several years ago, I read the essay "A Good Little Girl Like You" in Seasons of the Witch by Gail Griffin. I absolutely recommend this essay to everyone. It's an excellent analysis of the Oz story through the lens of feminist critique. As I finish noting citations on all the other pages, I'll collect them here. This will become a bibliography of sources that have informed this work. This may end up being redundant to the citations as I do more work on including connections in the text.